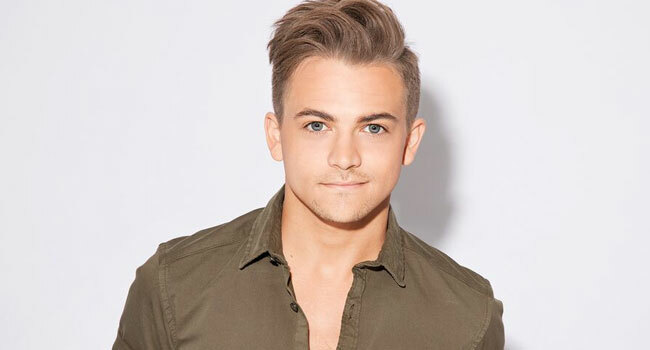 Five-time Grammy nominee Hunter Hayes is again sharing new music with fans, this time with the help of Justin Timberlake-backed pop group The Shadowboxers. Co-written by Hayes, Sam Ellis and Blair Daly, “You Should Be Loved” is described by Rolling Stone as “part Fifties doo-wop, part Michael Bublé-inspired romanticism” and is available everywhere now. The release of “You Should Be Loved” fittingly follows a jam-packed week. Hayes kicked off a month-long renovation project to update the music room at the Nashville School of the Arts with performances both on campus and at the Grand Ole Opry’s 92nd Birthday Bash. The country superstar took the opportunity to collaborate with students on each stage, inviting the talented teens to show off their musical skills as part of his band. With support from Samsung Electronics America, Inc., Hayes has generously gifted $100,000 to the CMA Foundation for the renovation. An ambassador for the school’s music program, Hayes will not only be restoring their guitar lab but also creating a working recording studio thanks in large part to generous partners. Once the build is complete, Hayes, with help from the CMA Foundation, will implement a masterclass series, inviting fellow industry colleagues, artists and friends to mentor students in the music program.